The human ear does not just make sounds louder but it also processes the sound information before transmitting it to the brain. Some hearing losses only involve the loudness of sound. These are called a "Conductive Loss". A hearing aid will be expected to greatly benefit these patients. However, many of the conductive losses can also be treated with medications or surgery. As we grow older, "nerve" or inner ear hearing losses become more common and often involve the processing of sound. Hearing aids will help these losses but rarely restores the hearing to a normal condition. Luckily, hearing aids have come a long way in the last decade. Improved filters and circuits have resulted in greater benefit to patients and improved patient usage. The new digital hearing aids closely match the patient's hearing loss and provides even greater help in the understanding of sounds. The cost of a hearing aid may easily be over $1000. This does not include batteries to operate the aid. The smaller the aid the higher the cost and also the higher the battery cost. In general, small aids take smaller batteries which may have a shorter life and cost about the same as the batteries for the larger hearing aids. A cheaper alternative which may work for some patients is a RadioShack Amplified Stereo Listener. These units cost between $30 to $40 (price check June 2008) not including headphones. The $40 unit has a three band equalizer. -- See Product. All hearing aids, including digital hearing aids, are made up of a microphone, a receiver, and an amplifier. The arrangement of these components and type of components determine how you hear with a hearing aid. The least complex amplifier is a fixed analog signal processor. The sound is taken in through the microphone and amplified by the signal processor. The signal processor determines how much the sound is amplified, the slope the sounds are amplified, and the overall output of the hearing aid. The amplified signal is converted to sound. The amplified sound can be modified and noise eliminated using low cut and high cut-off filters. This is possible with fixed analog filters and amplifiers to help better shape the sound to better fit your hearing loss. However, these are difficult to add to the small completely-in-the-canal analogue hearing aids and the shaping of the sound will not completely match the pattern of the hearing loss. The next technological step is a programmable analog signal processor. This amplifier works in much the same way as the fixed amplifier. However it can be shaped and tuned via a computer connection which makes it possible to adjust even the smallest of hearing aids. Typically there are controls to adjust high cut, low cut, gain, output, and compression. These are far superior hearing aids to the hearing aids of 10 years ago. The newest technological advancement in hearing aids is programmable digital signal processors. These digital hearing aids, features patented algorithms based on new, advanced understanding of human hearing that delivers a more natural, lifelike listening and communication experience. Unlike the programmable analog signal processor, the programmable digital signal processor is a tiny microprocessor (computer) that receives the sound from the microphone and shapes it with a computer, then delivers the sound from the receiver into the ear. The sound is much more natural in quality. 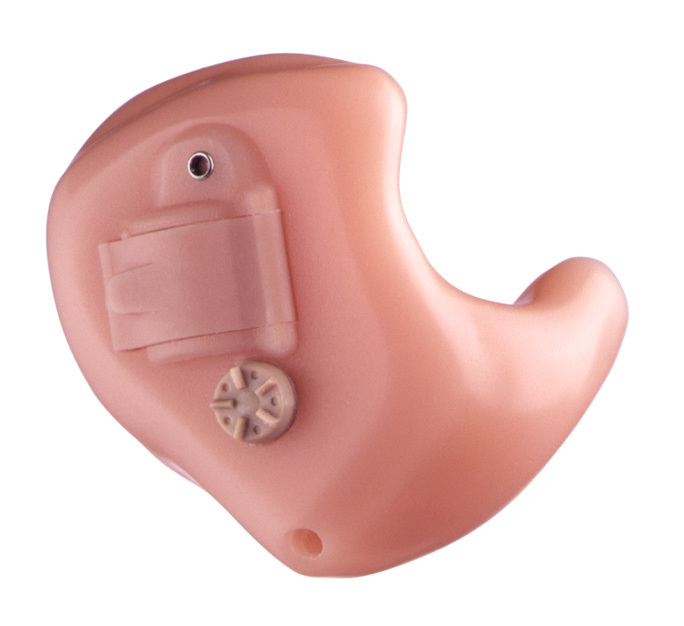 These hearing aids can be made in any style and without a doubt the most adjustable on the market today. There are different levels of digital hearing aids available with the most advanced offering features such as feedback management, multi-channel expansion, adaptive noise management and wide dynamic range compression. 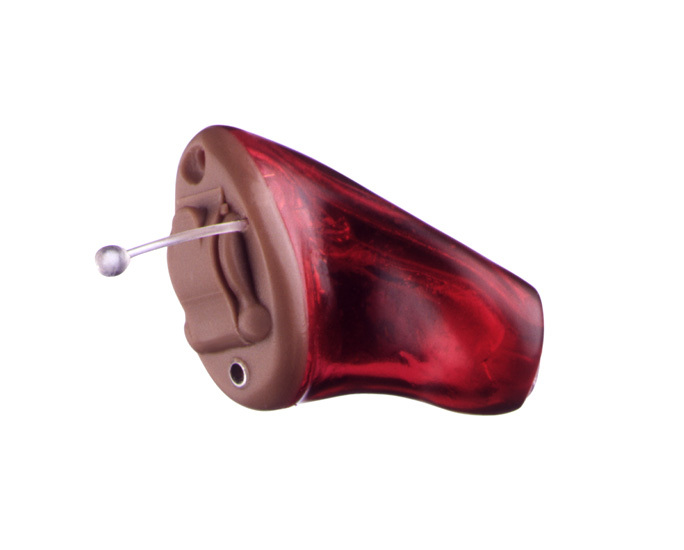 Hearing aids come in many different styles and models. The four physical style of hearing aids are BTE (behind-the-ear), ITE (in-the-ear), ITC (in-the-canal), and CIC (completely-in-the-canal). Generally speaking, the smaller the hearing aid the more expensive it will be. The BTE and ITE are usually the least expensive with the ITC and CIC hearing aids more expensive. The smaller the hearing aid the more difficult it is to change the battery and adjust settings. For example there is not manual volume control on Completely-In-The-Ear hearing aids. In addition, the smaller the aid the further it fits into the ear and the more susceptible it is to damage from ear wax and ear drainage. All types are available in analog, programmable and digital models. It is very hard to tell which one will best suit the patient. The following antidote is a true story which illustrates the variety of patient preferences. A prominent businessman in my town brought his elderly mother to see me. The different types of hearing aids were explained to them and he summed up the presentation with stating: "The smaller CIC hearing aids seem to work about the same but cost more." He then stated: "We will get the behind-the-ear aid. This makes the most sense." His mother even with her reduced hearing heard his comments. She immediately interrupted. "Oh no, I want the small one. I do not want anyone to see that I am wearing a hearing aid." The businessman sensed his mother's desire not to be seen wearing a hearing aid and begrudgingly purchased the most expensive hearing aid - a completely-in-the-canal model. On the follow-up visit to see how his mother was doing with the hearing aid, he was asked how his mother liked the almost invisible hearing aid. He replied, fit to be tied: "She loves it. The first thing she did was wear it to church, then take it out of her ear and show everyone how small her hearing aid was." Although the hearing aid mold can become plugged with ear wax and drainage, the hearing aid is away from the ear canal and is protected. 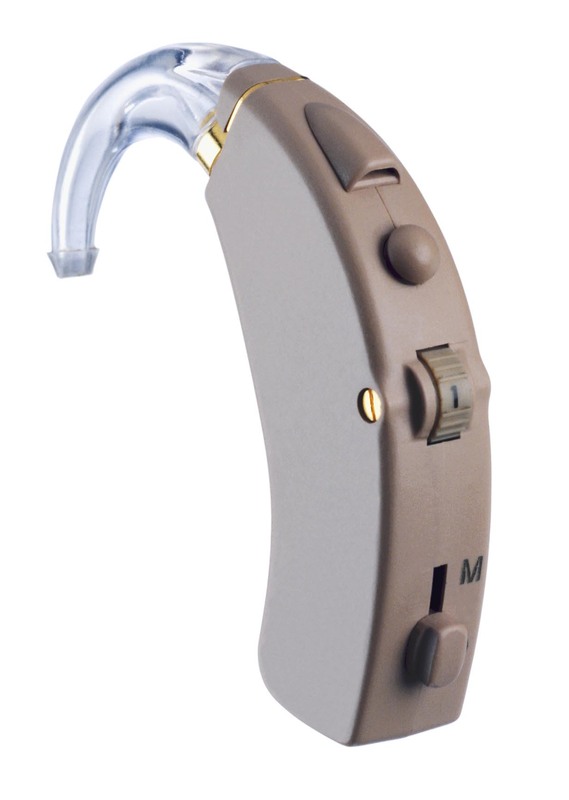 The ITE hearing aids are the largest of the custom made hearing aids. They can be fit in a wide range of patients, from mild to severe hearing losses. Because of the size they are much easier to build than the smaller custom hearing aids. Is susceptible to damage by ear wax and ear drainage. The ITC hearing aids are the next smallest custom made hearing aids. They are visible, however smaller than the ITE hearing aids. They are more difficult to build because they are smaller and the placement of the electronics takes more time. CIC hearing aids have many benefits besides being discrete. They are the smallest of the custom made hearing aids. The electronics in the CIC hearing aids are miniaturized to the smallest possible size and carefully placed by hand in the tiny shell. They are much more difficult to make than the other custom made hearing aids. 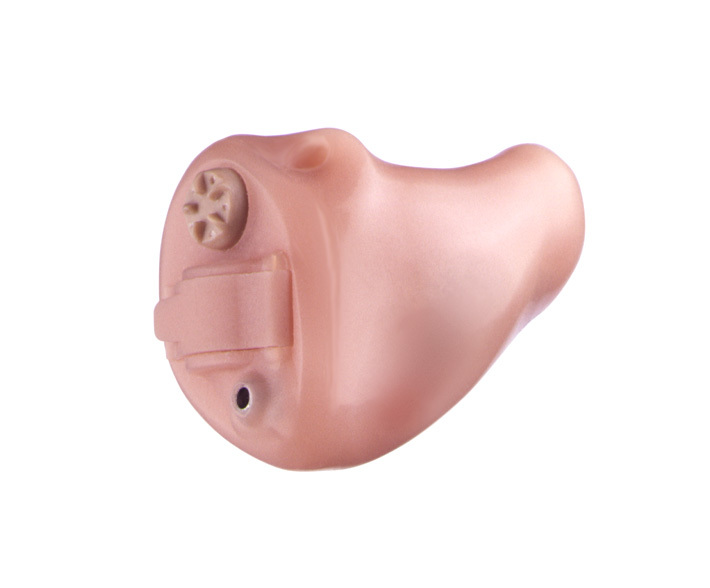 These hearing aids are best for adult patients with a large ear canal and mild to moderate hearing loss. Completely-in-the-canal hearing aids have a number of potential benefits that are unique to them (Mueller and Ebinger, Seminars in Hearing 17:1, Feb 1996). Usually, does not have a manual volume control, often this is a small screw which requires a small screwdriver to adjust. Of all the hearing aid types, is most susceptible to damage by ear wax and ear drainage.